Lincoln Refreshes The Continental For 1964. For its fourth model year, the 1964 Continental received its first major styling update, adding 3 inches of wheelbase that translated into more rear passenger leg room, a streamlined horizontal dash, a slightly squared-off roof line and flat side window glass. Retained was the sweeping slab side profile and suicide center-opening coach doors. Safety equipment added seat belts, padded dash and emergency flashers. 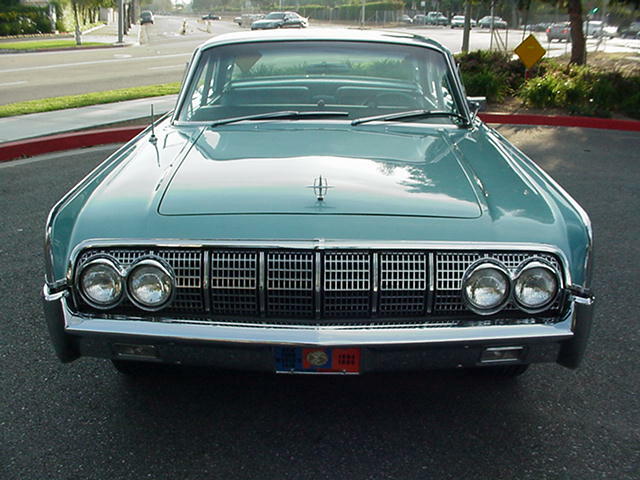 Front Fascia featured a detailed egg-crate pattern separated by nine vertical bars; The rear motif complimented the grille a raised pattern both above and below the bumpers flanking the license plate. 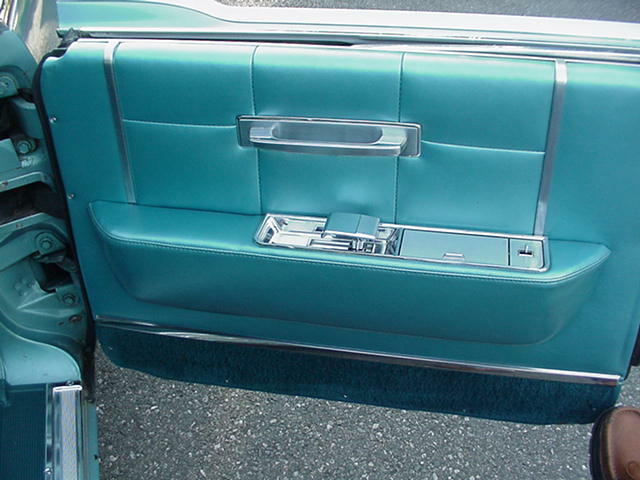 For 1964, the gasoline access door now moved from the trunk to the drivers side rear quarter panel. Color Combinations offered the buyer an astonishing selection of color combinations in flat and metallic exterior hues, with cloth, leather or a combination of both. A silver thread Lincoln Star Insignia Brocade ( as shown below) was among the choices. 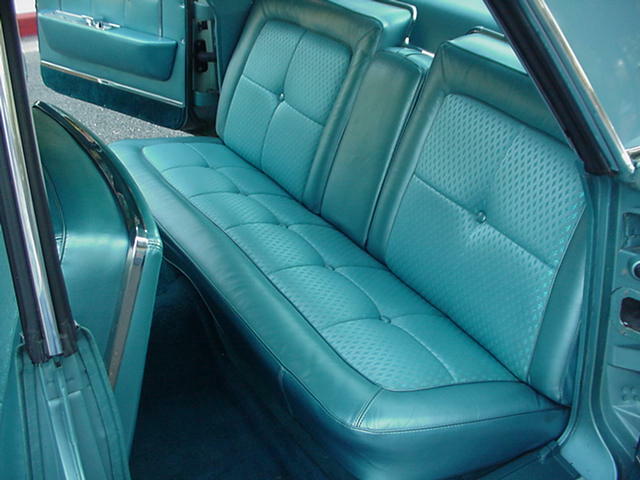 Standard bench seating afforded comfort for six, although a very rare front bucket seat with console option also made its debut. 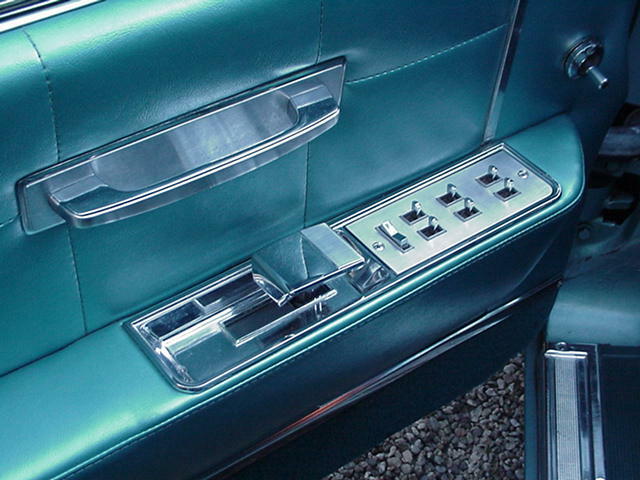 For 1964, Lincoln updated the two-pod dash of the previous generation with a sweeping single horizontal design featuring air conditioning vents cleverly hidden within the chrome bar pattern. Options included Cruise Control, Electric Eye Automatic High Beam Dimmer and one of the first factory AM/FM radios. 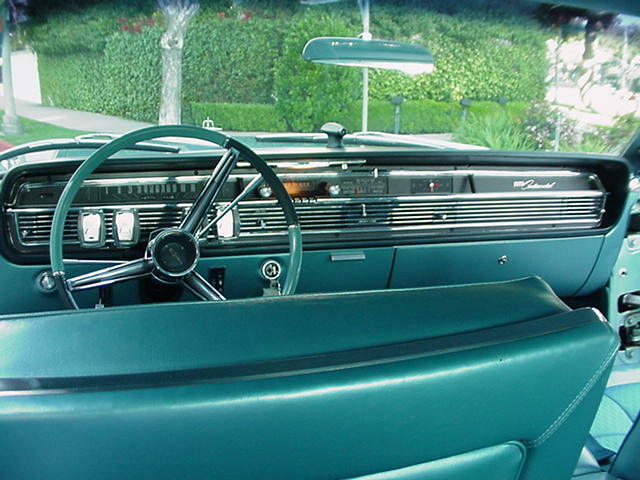 The traditional rear view mirror bracket was replaced by a windshield mount; a Day/Night Mirror was standard, along with power locks, power side and vent windows, center arm rests and variable-speed wipers with washer. Gauges kept the driver informed of the fuel, battery, water temperature and oil pressure. The door locks, a/c, wipers and glove box hidden trunk release were vacuum operated - not electric. mated to a three-speed C6 automatic transmission. Horsepower was estimated at 300. 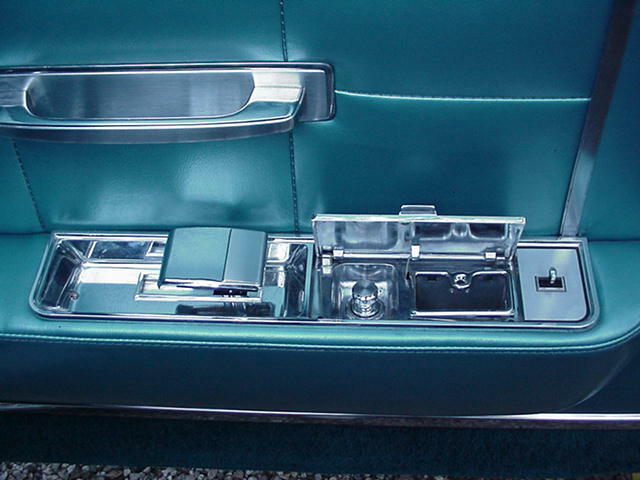 The Lincoln Continental's use of exquisite material continued to the door panels, adorned with chrome and brushed stainless steel window controls, door handles and grab handles. 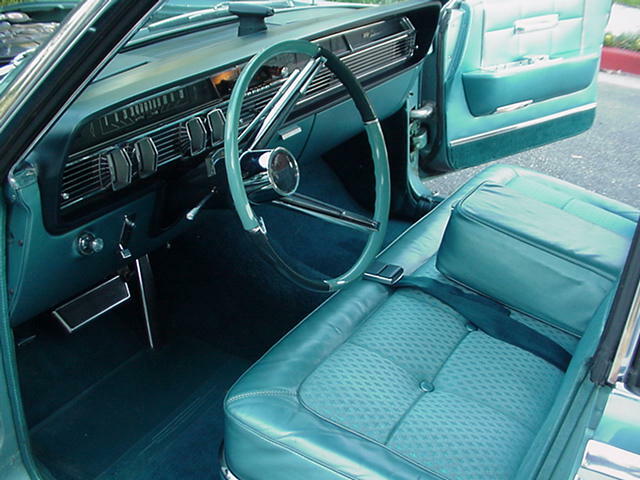 Gone was the real wood trim of the 1961 thru 1963 models, instead replaced by a vinyl simulated wood pattern at no additional charge. This Special Order example has rare the "Wood Trim Delete" option. smooth and flat without any use of side profile sculpture line accents. The fender peaks featured a stainless steel peaked trim that ran the entire length. Rear opening coach (suicide) doors continued on the Lincoln Continental through 1969. Only two models were offered - a sedan and the iconic convertible. Full dish hubcaps were standard. 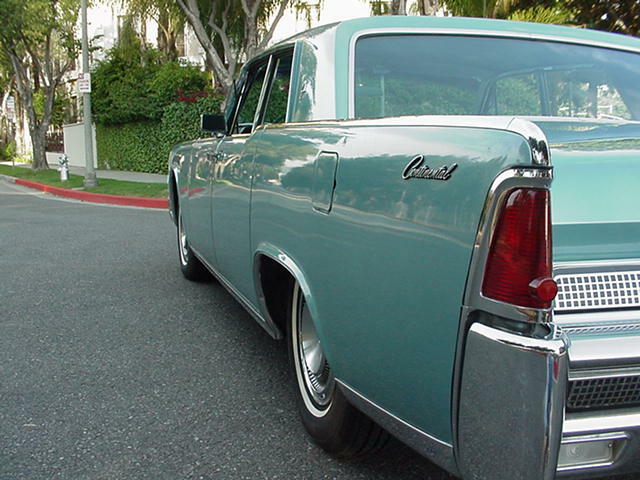 The spacious trunk was fully carpeted, as was the spare tire cover. Purchased from the original owner in with 17,000 miles as shown, and sold in 2007 to a collector in Florida. 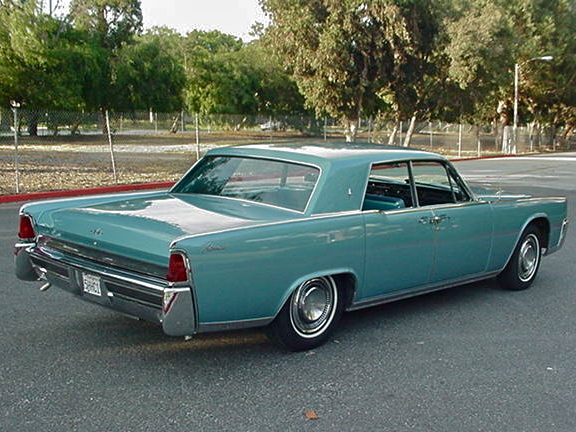 The data plate notes that this was a special order car, and is believed to have been featured at The Ford Pavilion of The 1964/1965 World's Fair in New York. 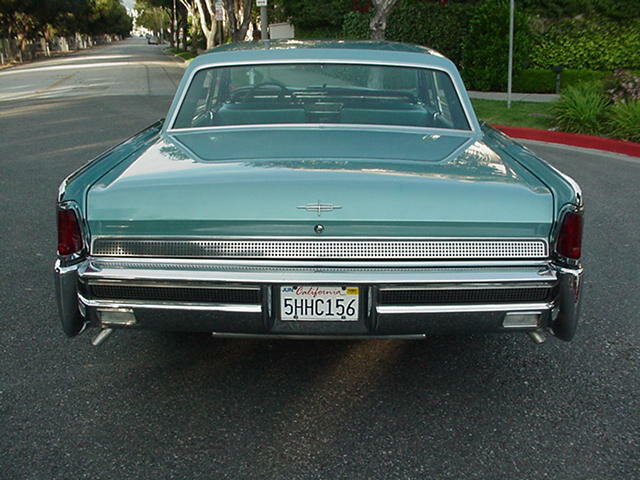 A commemorative license plate was found in the trunk and can be seen on the front bumper in the above photo. quality original and reproduction trim parts. Because many trim items are specific to the model year and production was relatively low, it is recommended that buyers search for the best cosmetic example possible and pay up for it - it's much cheaper than having to restore yourself. This is a unibody car, so rust can present real structural problems in the lower door and wheel arch areas. 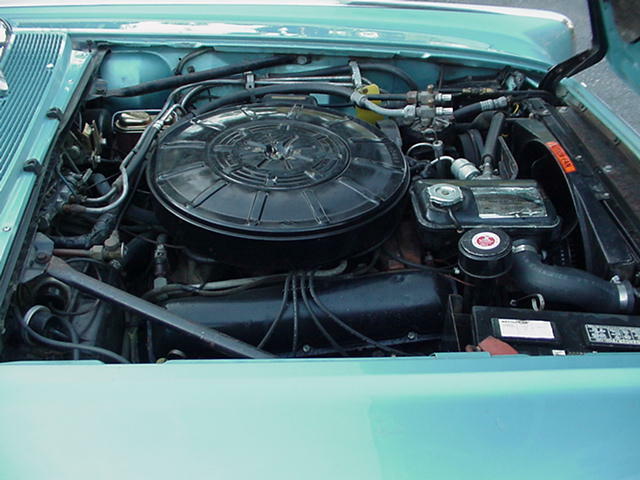 Parts for major mechanical systems are more easily obtainable, some being shared with other Ford products. 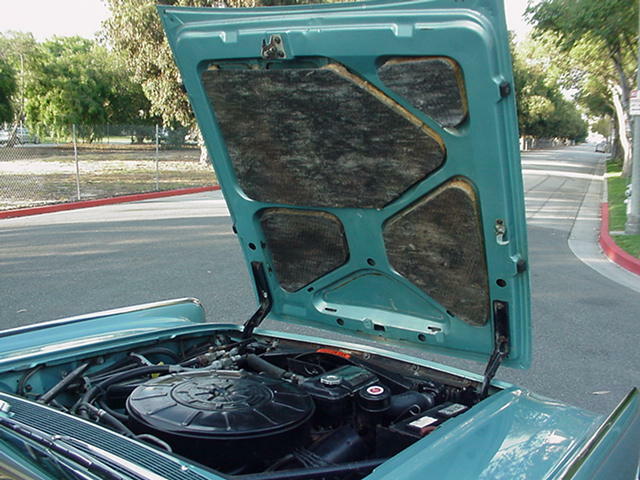 The wipers, air conditioning, trunk release and door locks are all vacuum operated - not electric - so if one doesn't function - none of them will - so check carefully as diagnosis of the culprit is a Herculean task; The exhaust system is prone to cracked manifolds, especially on the passenger side. If the car is overheating, be aware that there are TWO thermostats. 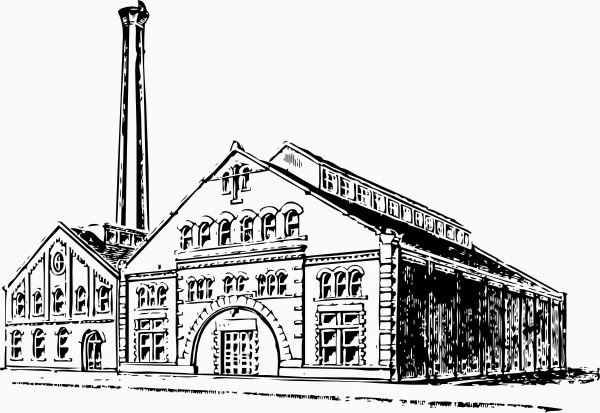 The car came factory equipped with FOUR mufflers/resonators. 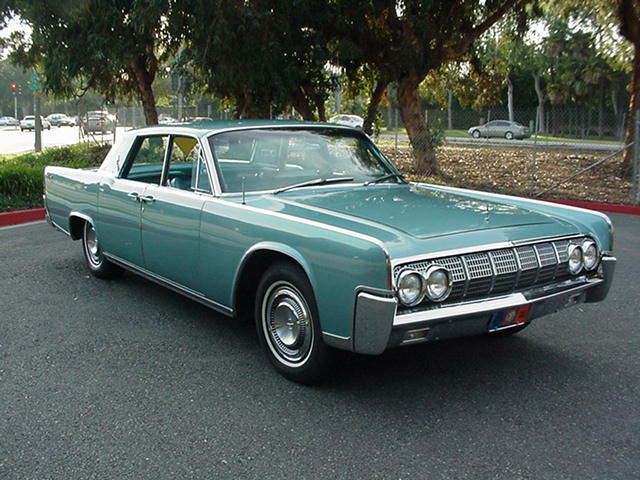 Once restored, the 1964 Lincoln Continental will prove to be an enjoyable, luxurious and surprisingly-agile automobile for daily driving. 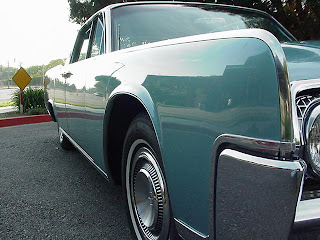 Questions about restoring a 1960's Lincoln Continental?...email me.